Toyokuni designed twelve actor triptychs, one for each month of the year. The toshidama cartouche in the upper left contains the series title. 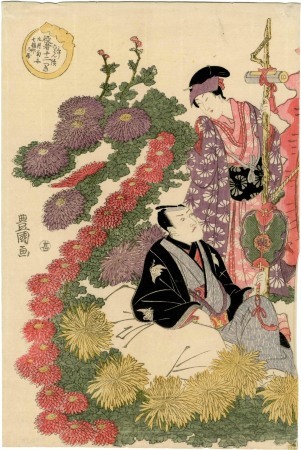 This triptych is illustrated in color in Ukiyo-e Masterpieces in European Collections: British Museum II, Kodansha Ltd, 1988, #221.